It's super hot here in Hyderabad and I am taking utmost care of my acne prone skin. I am drinking lots of water, eating fresh fruits, keeping oily food at bay and of course using products that are meant for oily, acne prone skin. 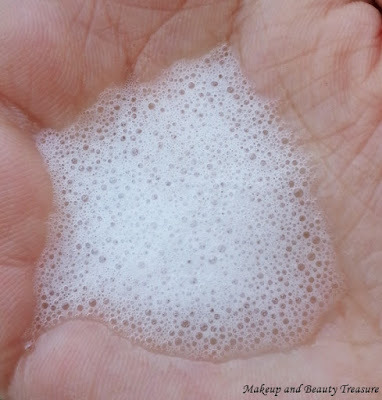 I have been using Sebamed Clear Face Foam Face Wash for a long time on the recommendation of my sweet blogger friend Arzoo from Beauty and Makeup Love! Thank you so much Arzoo! You have always been my great friend! I finished my first bottle and ordered the second one from Click On Care. If you remember I had ordered and reviewed Bioderma Sensibio H2O and Suncote Sunscreen Gel ! Believe me guys they are superb for acne, prone skin. After having a great experience with the website, I again placed an order from them. They have wide varieties of skincare products that are sometimes difficult to find on other websites! 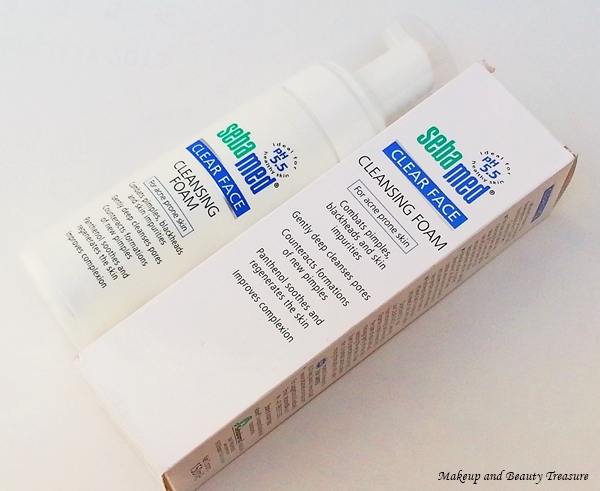 Sebamed Clear Face Foam Face Wash* is priced at Rs 630 and you can BUY ONLINE HERE. This is what the brand says! This is how it comes out of bottle! 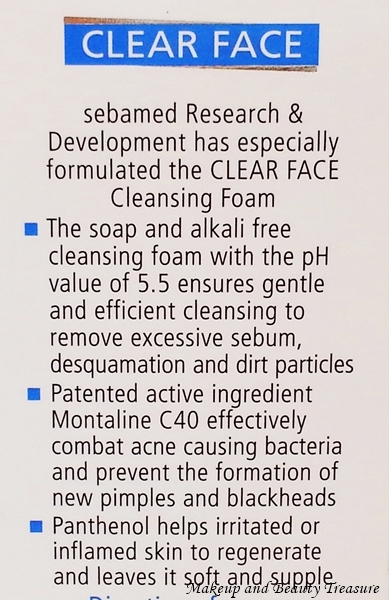 Sebamed Clear Face Foam Face Wash comes housed in a white cardboard box packaging with all the information printed over it. What I liked the most about this cleanser is its pump packaging. It dispenses the right amount of cleanser and is very safe to tote around in a bag. It is a foaming cleanser and feels really soft, smooth and nice on skin. 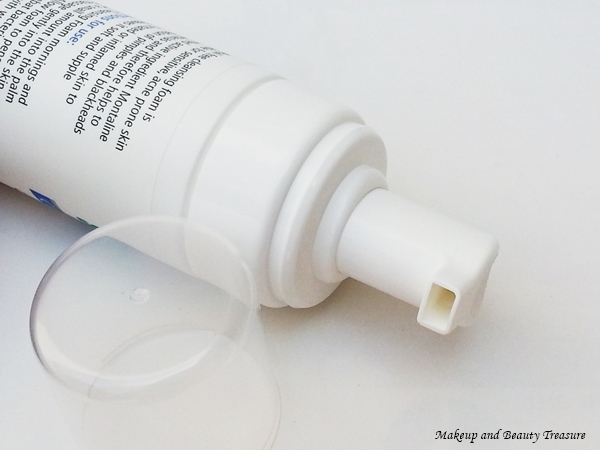 I have oily, acne prone skin and this is how I use this cleanser! Firstly I wash my face with a face wash. I am currently using Just Herbs Silksplash Face Wash (Review coming soon!) 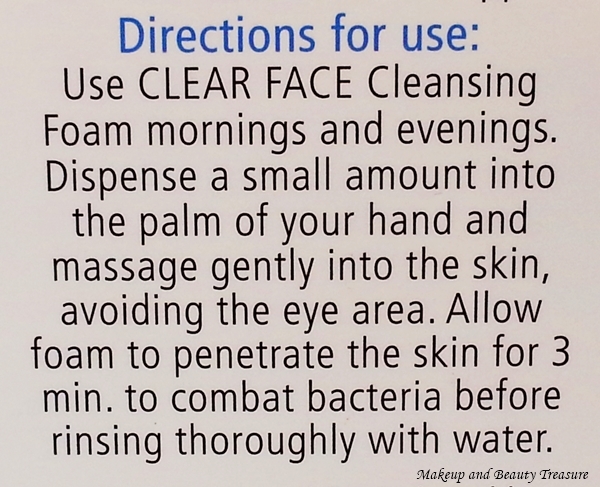 and then proceed with Sebamed Clear Face Foam Face Wash. I take a pump of this foaming cleanser and massage it gently on my whole face. I then leave it for 2-3 minutes to let it work on my skin. I then rinse it with water and wipe off my face with a towel! This cleanser can be used alone but I feel using it this way helps me in getting squeaky clean skin. The scent of the cleanser is very mild and hardly noticeable. I have not faced a single acne since the time I am using it. It does not dry out my skin and maintains the pH balance of the skin. 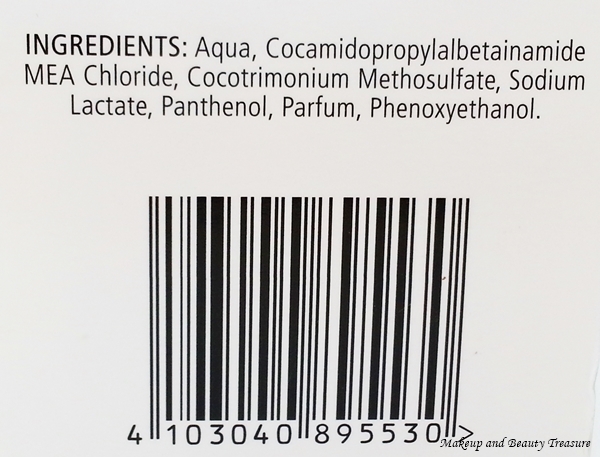 I loved this cleanser to the core and I love stocking it up as soon as the bottle goes half! - The foam feels very soft and gentle on the skin. You can massage your skin without actually tugging it! - Leaves skin clean and soft after wash! - Does not make my skin dry! - Heals and prevents acne and pimples. - Does not make skin super clean on its own. I have to make sure to use other face wash! - Might dry out dry skin! 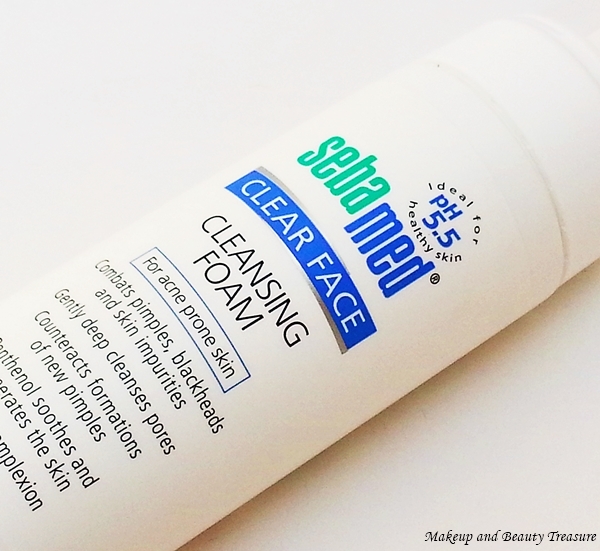 Sebamed Clear Face Foam Face Wash is my HG face wash. It is the best cleanser for acne prone skin. I loved how it heals acne and pimples and prevents them from occurring. It is gentle on the skin and I would highly recommend it to all people with acne prone skin! - Always remove your makeup with a makeup remover and then follow it up with a face wash! - If you have dry skin, follow it up with a good moisturizer! - Use it with other face wash to get squeaky clean skin! Have you checked Click On Care? Would you like like to buy Sebamed Clear Face Foam Face Wash? Yeah it might dry out dry skin! I accept these kinds of creams are definitely high cost but it gives best every result for long time.